As most of our regular readers here at Trainwreck’d Society may know, we absolutely adore writers. We are obsessed with storytellers of any fashion. The people who cycle creative thoughts through their brilliant minds and put them on display in whatever their chosen format may be are the cat’s striped pajamas in our world. And do we ever have an amazing one for you fine folks today! 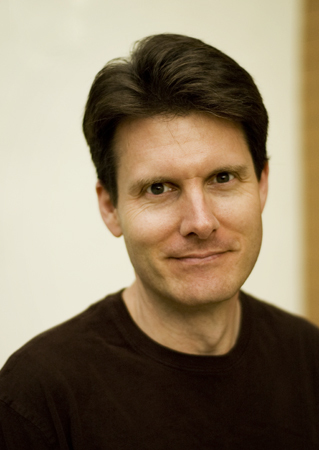 Dean Batali is a writer who has been responsible for so much of the finest television you have enjoyed over the years, as a writer and producer of great accord. He has blessed fans over the years with his work on a wide range of television shows, from Buffy The Vampire Slayer to That 70’s Show to the popular Canadian teen series What’s Up Warthogs! The variety of this brilliant man is undeniable. There really doesn’t seem to be a medium he can’t tackle. So, we are honored that he would be willing to take some time out to talk with us here at TWS. And as an added bonus, I brought a dear friend of mine, and co-host of my favorite podcast Super Geeky Play Date, Bryan Bales on to ask some specific questions about a series that he has publicly adored, which would be Buffy. I admittedly was not as familiar with the series, but knew that Bales could come up with some intriguing Q’s for Mr. Batali’s A’s. And I believe he did a great job. So thank you Bryan! And with that, please enjoy some great words from television writer and producer, a legend in his own right, Dean Batali! How did you find yourself in your line of work as a hugely successful television writer and producer? Was it always something you were driven towards? I became a television writer because I got fired by a theater company. My wife and I were working in Seattle as performers (and I as a writer) for a touring company that mostly performed in schools and churches. This is after I had produced a few of my own plays — musical comedies — in the Pacific Northwest but we were working for the theater company full-time. And they fired me. Let’s call it “artistic differences.” Writing TV had always been in the back of my mind, and since I had been writing comedy that… well, none of the shows won a Tony, but the people who came to see them at least were laughing out loud. So I thought maybe I could use that skill and try to be a sit-com writer. So three weeks later my wife and I loaded our life into a U-Haul and moved to Los Angeles. We had $2000 in the bank and didn’t have any connections in Hollywood. But a few months later I got a job in the mailroom at CBS/MTM studios — where they had filmed St. Elsewhere and Mary Tyler Moore and Gilligan’s Island (I got to stand in the empty lagoon). At the time they were shooting Roseanne and thirtysomething and I put the name up on the door that said “Seinfeld” when that show started filming there. And that mailroom job led to other jobs as a production assistant and writer’s assistant an eventually I met writers who offered to read my work and they liked it and passed it on and started hiring me (and Rob DesHotel, my writing partner at the time). I had always been a big fan of TV — more so than movies — so I was drawn towards that but hadn’t really dreamed of being a TV writer. I still would rather win a Tony for playwriting than and Emmy for writing for TV… although I’ll take one of those, too, if anyone’s offering. But I really like the long-term storytelling that is unique to TV. Something like NYPD Blue, which ran for 11 season, gets to trace the redemption of its main character as he struggles to become the person that he wants to be. And even sit-coms show the advancement of relationships in a way that I’ve always found really interesting. What was your first paid television gig that you could remember? And what was it like to hear your words being spoken on screen? First paid gig was for an animated show called Duckman, starring Jason Alexander, though the first time I heard my words on screen was actually for an episode of The Adventures of Pete & Pete, which aired before the animated show. It’s kind of weird that I don’t remember that moment of hearing my words as being a big thing, and I think it’s because I am more affected by being in the room with an audience (as I was for the plays that I wrote) and hearing their laughter — the same way it was on That ’70s Show. It was fun to know that 15 million people or so were watching the show in their homes, but what mattered most was that the studio audience in that room was laughing at what we had written. Can you tell us about how you got involved with Joss Whedon on Buffy the Vampire Slayer? The show was staffing up in the summer of 1996. Rob and I had just come off of working on a sit-com (Hope and Gloria) which only ran for two seasons; we were staff writers for season two. Most of the new series had already hired writers in May and June and it wasn’t until July that we got the meeting for Buffy. Our agent had sent Joss our The Adventures of Pete and Pete script and Joss really liked it. (I continue to point out to people that Buffy and Pete and Pete have similar DNA in terms of their quirky dialog, and if you’re a fan of one you’ll probably be a fan of the other.) We were sent a video cassette (!) of the pilot presentation, which Joss had directed. It was about 20 minutes long but told a similar story to what eventually became “Welcome to the Hellmouth.” The cast was the same, though there was a different Willow. What I remember most is the opening scene (the same as in the series). The girl and guy sneaking into a place and the girl gets all scared but the guy assures her that they are alone and when she’s sure they are — she eats his face. So we were hired after a meeting with Joss, who told us about the show — how it would be different from the movie — and that he wanted a mix of comedy and hour-long writers. And how he wanted to do high school as an allegory for the horror movie: that high school was the most terrifying place he ever was (and I agreed; mine was, too). We started work with the other writers a week or so later. People need to remember that the idea of doing a TV series based on what many people consider a “failed” move was not a big deal at the time. It wasn’t a hot show in any way, and we didn’t think much of getting the meeting. It wasn’t until we were working on the show and saw what we were doing that we realized — this is something that’s very unique. Can you describe what it was like sitting down with everyone and mapping out an episode? A season of a show like Buffy or many of the other shows you have worked on? What goes into that? It varies from show to show. For something like Buffy (which had serialized elements, and That ’70s Show had a few, too) we’d spend a few days at the beginning of the season talking about the main things that were going to happen — Buffy is going to sleep with Angel; Oz is a werewolf; etc. — and mark off at what point those things would happen in the season. Then as other story ideas are pitched we decide where they best fit within the arc of the season. Once the logline of an episode is decided the writers generally sit around and talk about how that episode could be shaped, and the different things that could happen in it. Then as the storyline starts to become more clear we — or, rather, the showrunner — decides how the story beats are going to happen. All of this can sometimes take a few hours, or it can take a few days. On Buffy, we weren’t in the writers’ room a lot. Joss had been on Roseanne and wasn’t a big fan of the writers’ room coming onto Buffy. We did do some work as an entire staff, but mostly it’d be whoever was writing the episode working with Joss and David Solomon, or going off and structuring an episode and then having Joss look it over and ask for changes. I remember Rob and I working on one episode and we had it worked out on a big white board and Joss came in and looked it over and said, “Make the third act break the first act break,” so that means re-doing everything. I like to use the first few hours of story breaking to get things down in broad strokes — to see if the story idea has a beginning, middle, and end. Then once a skeleton of a story is set, we get into the individual story beats and try to come up with surprises and compelling act breaks. And a lot of time the first thing we come up with is an act break or a later story beat and then try to build the story to that. I describe it as “breaking the story from the inside out,” rather than thinking — this thing happens first, and then this, and then this. It’s “It’d be cool if ____ happened in the third act, so how do we set things up for that?” And then, of course, things change along the way. We’ll write an outline and change things, and second drafts can be quite different from firsts. You’ll see things that were missing, or story beats that don’t work, and then it becomes a little more like geometry — trying to fit a story into a structure that already exists. How active was Sarah Michelle Gellar behind the scenes with Buffy’s character development? I’m not sure how active she was in the early days, but keep in mind that I was not an upper-level writer at the time, so would not have been aware of conversations she might have been having with Joss and David Solomon. She did know the character and the character’s voice, though, and I remember being called down to the stage once to adjust a line she felt didn’t quite sound “Buffy.” So we gave her something else that worked better. 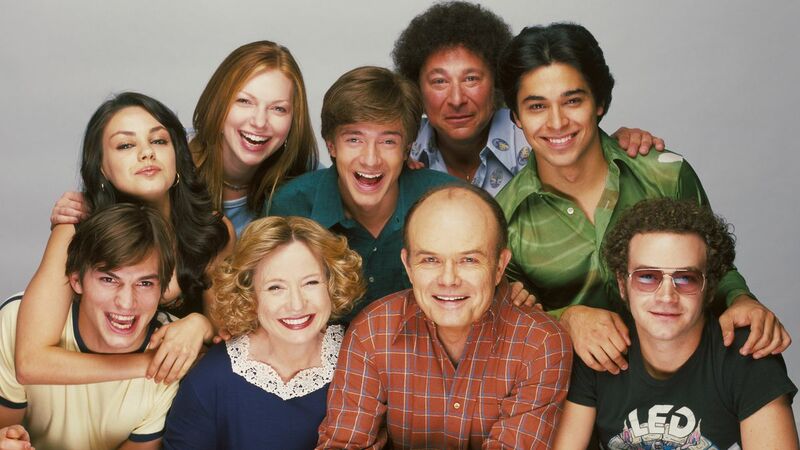 That ’70s Show was one of the most impressive sitcoms I have ever witnessed. Mainly because it was such a specific topic in some ways, yet it seemed to transcend from being a novelty show and turned into a real hilarious emotional rollercoaster at times. I have theories as to why it worked so well, but I am really interested to hear directly from you, a man that was there very early on in the series. What do you believe it was that made the show work so well? I think people thought of it as a novelty show because of the title (which was not the original title; at one point it was going to be “Teenaged Wasteland” but people just kept referring to it as “That ’70s Show” which eventually stuck). But I think one of the reasons it worked so well is because it was hardly about anything. I know Seinfeld is known as “a show about nothing” but ours was simply about people hanging out. Very low stakes; not a lot going on. There were the relationship things, sure — Eric and Donna, Jackie and Kelso (and then Hyde, and then Fez) and the parent / teen stuff but — if you look at the individual stories that we did, very few of them have a lot of weight. They’re just kind of silly, which allows the show to exist as sort of “popcorn.” Easy to watch, you can start watching halfway through an episode, and you can watch it again and again because it zips along so quickly, with fast scenes and fantasy sequences. On another level, though, the characters are simple and well defined — Kelso is dumb; Eric is nervous; Jackie is mean; Fez is innocent. So you can put all of those people in a room and they’re going to have something funny (and unique to them) to say. And since the cast was so good, we didn’t always need jokes. We could get laughs from one character telling the other to shut up, or screaming “Burn!’ or literally just hitting each other on the arm. Not proud of that writing, but… it’s funny. But also — the ’70s are sort of an end of an era when people (in this case, teens) just “hung out” — as the theme song of the show reiterated. It was before cable TV, and before video games, and — whether they were smoking pot or not — kids just sort of hung out together, not doing much of anything. And this show was able to capture that. And while That ’70s Show featured “teenagers”, it would a bit more far fetched to call it a “kid’s show” or a “teen show”, both of which you have also had a ton of experience with. So what is the experience like working on a show geared for a much younger audience? Does the process differ much from creating a primetime show geared for adults? We never really thought about the show being geared toward a younger or older audience, but That ’70s Show was unique in that it featured (mostly) teens but viewers who were teens in the ’70s were in their forties while the show was airing, so it appealed to them, too. We generally just did things that we thought were funny, so I guess we were appealing to ourselves first. But I have since run another (Canadian) show that WAS for teens — and another show (for DisneyJr) that’s for 2-5 year olds. But I didn’t think that narrowly for either show. I still wanted to do a show that first of all I liked, but also — if an adult happened to be watching the show they were going to pick up on things that the others would not. But the process doesn’t differ that much. We broke stories for a preschool show about talking puppies the same way we did for a show I worked on about a detective investigating murders. You’re always looking for energetic ways to move from scene to scene and ways to surprise the audience. It’s either a pie in the face or a knife in the back or stake through the heart. A lot of times I might pitch an idea that would work in a comedy and then “take the funny out” if the show is not a comedy. Or on one show I just worked on — which had some light supernatural elements to it — I said to my staff, “How would we tell this story on Buffy?” and then we took out the monsters and slaying and made it work for that show. What is next for you kind Sir? Anything you would like to plug to our readers? 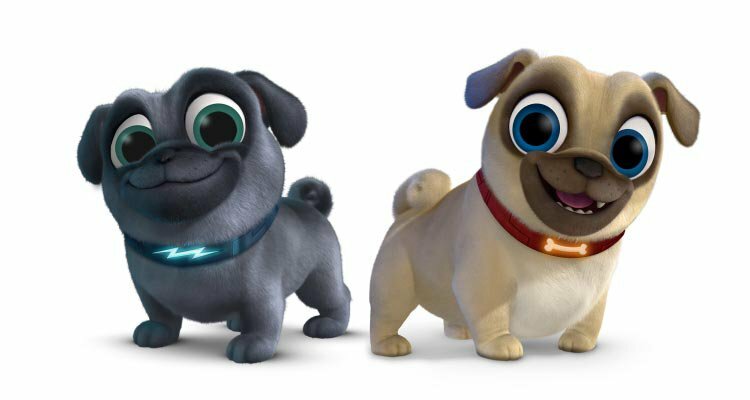 The DisneyJr show, Puppy Dog Pals, started airing in March. If you’re 2-5 years old you’ll love it. If you’re older than that — well, there are still turns-of-phrases I put in there that are the kinds of things I used to write on Buffy or Pete and Pete. (I teach a writing class called “Differently Say It” and still like my characters to say things in different ways than we might normally speak). And I just finished showrunning the Hallmark Channel’s third season of Good Witch, which is just barely about a witch but sort of has a Gilmore Girls feel to it, and on that show — which is mostly about middle-aged romance — I still have the characters differently saying things (as much as the network let me) and has some teen things going on but no slaying, so don’t get your hopes up. I’m not much of a grinner, so I had to give this some thought. But the honest answer is “good writing.” I was watching a limited series on HBO — Big Little Lies — written by David Kelley, and I have always liked his writing (on LA Law and Picket Fences and Chicago Hope, among others). And there were specific lines of dialog that made me smile. I really should have said “hugging my children” or “playing with my dog.” But neither of them wrote good dialog while we were doing that, so — nope.